Clive Rice: Why statistics in sports don’t always matter. Sports are increasingly being driven by data and analytics. Electronics feed every aspects of a sportsman’s game back to coaches and support staff, in real time. 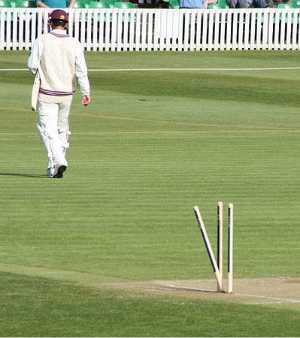 Coaches can substitute a striker, or rotate a bowler, who is loosing his pace due to fatigue, based on comparisons of his efforts over the course of a game. Sports are big business- hundreds of millions can hinge in the outcome of a game, or even, in some cases, on who scores first, or at what time. Clive Rice, who died last week, was a South African cricketing legend. I was a schoolboy when he was in his prime, and he missed out on what would have arguably have been a stellar international career due to the sporting boycott against the then apartheid South Africa. I never knew him personally but, like many South African’s, I respected his spirit. Clive Rice was one of those men that you wanted on your team – the kind of man that defied the statistics and never quit until the game was over. Clive had along and distinguished first class career – beginning before I was born in 1969, and running all the way through my formative years. For me, he will always be remembered for the so-called Humdinger. The Australian team were cruising to victory when Rice produced one of the best bowling performaces of all time to nip them out with a few runs in hand. Cricket is a team sport, but it is Rice that I remember. Statistically, Australia should have won that game comfortably. The fact that they didn’t is what drives us to make our decisions based on our emotion, rather than the facts. If we back the improbable cause in business too often we will go under. How often can your business afford to throw money down the drain? But, for most of us, sport is not business. We can afford to be guided by our hearts, and can manage our disappointment in our losses through the knowledge that we were backing the underdog. We back the larger than life personalities,men like Clive Rice, to buck the trend, and glow in their reflected glory when they do it. This is why we watch sport, and damn the statistics. RIP, Clive Rice! You were a true legend.